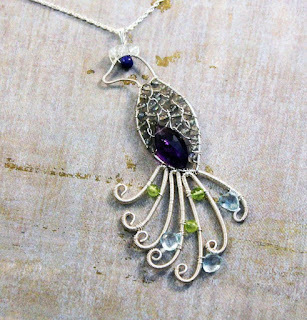 The cover picture says it all: This lessons shows how to create a wire wrapped peacock pendant with weaving the wires through the body. Something colorful, something fun, something worth adding into your treasury collection. List of tools and materials are included!